Just what is “Calvinism?” Does this teaching make man a deterministic robot and God the author of sin? What about free will? If the church accepts Calvinism, won’t evangelism be stifled, perhaps even extinguished? How can we balance God’s sovereignty and man’s responsibility? What are the differences between historic Calvinism and hyper-Calvinism? Why did men like Augustine, Luther, Calvin, Spurgeon, Whitefield, Edwards and a host of renowned Protestant evangelists deny the Arminian definition of free will and label it heresy? Why did the Roman Catholic Church condemn the Reformed teaching of predestination and election and embrace free will theology? And why do so many Protestants, perhaps unwittingly, agree with Rome on this issue? 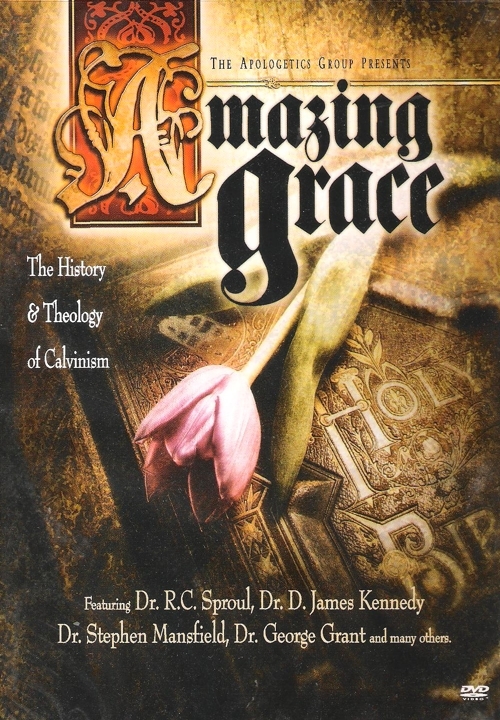 Amazing Grace — The History and Theology of Calvinism is the first video documentary that answers these and other related questions. Hosted by Eric Holmberg (Hell’s Bells 1 & 2; The Massacre of Innocence) this fascinating three-part, four-hour presentation is detailed enough so as to not gloss over the controversy. At the same time, it is broken up into ten “Sunday-school-sized” sections to make the rich content manageable and accessible for the average viewer. Part One explores the history of the debate. It begins with the pivotal dispute between Augustine and Pelagius and continues through the semi-pelagian controversy; focusing particularly on the debate between Martin Luther and Desiderius Erasmus. Many viewers will be shocked to discover that free-will theology was NOT the doctrine of the Reformation but instead the teaching of an increasingly apostate Roman Catholic Church. The history section ends with a definitive historical explanation of the issues that arose during the Calvinist/Arminian controversy. By examining the five points of Arminianism and the Synod of Dort’s response, the viewer will clearly see that the Protestant Church understood how the Gospel would be compromised if Arminianism prevailed. Part Two opens the Word of God, our ultimate authority for life and faith. The five points of Arminianism are put on trial as what would later come to be known as the “five points of Calvinism” are clearly and forcefully presented. Part Three asks and answers the provocative question: If Calvinism is true, if God is absolutely sovereign; then why should we evangelize? It also explores the vital issue of how to and to whom the gospel should be presented so as to be faithful to the great doctrines of God’s sovereignty, man’s depravity, and the miracle of amazing grace. 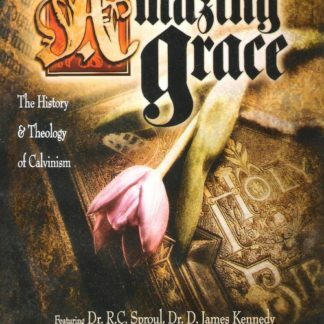 Rich in graphics, dramatic vignettes, and biblical analogies, Amazing Grace — The History and Theology of Calvinism also features many of the finest reformed thinkers and pastors of our time: Dr. R.C. Sproul, Dr. D. James Kennedy, Dr. George Grant, Dr. Stephen Mansfield, Dr. Thomas Ascol, Dr. Thomas Nettles, Dr. Roger Schultz, Pastor Walt Chantry, Dr. Joe Morecraft, Dr. Ken Talbot, Pastor Walter Bowie and Dr. R.C. Sproul, Jr..